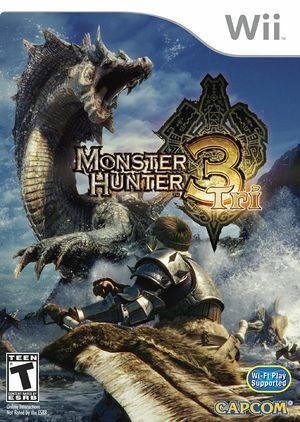 Monster Hunter Tri, known in Japan as Monster Hunter 3, is the third console installment in the Monster Hunter franchise, developed by Capcom and released for the Wii in Japan on August 1, 2009. Monster Hunter Tri was released on April 20 2010 in North America, Europe, and Australia. Monster Hunter Tri cannot be played online since April 30, 2013, because Capcom shut down the Monster Hunter Tri servers. By default, Skip EFB CPU Access is enabled for this game. Without it, the character creation menus run extremely slow even on the most powerful systems. But, without EFB CPU Access the custom color selector during character creation does not work. If you wish to use the custom color selector, uncheck Skip EFB CPU Access, use the selector, and then recheck it to resume character creation. See issue 6911. "Skip EFB CPU Access" is not needed for regular gameplay. But it causes no issues other than the custom color selector and greatly improves the character creation menus - hence it's being on by default. The game uses EFB Access to CPU in order to do its bloom effects. Because it is so slow for us to enable that for this case, the bloom will look blown out by default. Unchecking Skip EFB Access to CPU will fix the bloom, but, make the game unplayably slow even on the strongest of computers. The graph below charts the compatibility with Monster Hunter Tri since Dolphin's 2.0 release, listing revisions only where a compatibility change occurred.